Our Guest tonite is Donna Prenta, a RYT500 Yoga teacher. 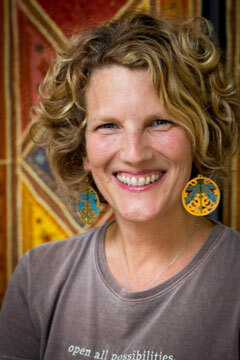 She is a student of Yoga for over 20 years with a passion for the mind-body connection. Donna has a special gift for working with special needs. For over 8 years Donna has shared her intelligence, gentleness, and compassion with students in her classes. Her youngest student was born with Down Syndrome. Her intention for students is to “ignite the spark” that lives in each soul. Through the practice of Yoga profound healing occurs. Please join us as we discuss Donna’s work and experience with special need students, which includes us all! Previous PostShow #39 Yoga Radio: Dec 3, 2014 – Yoga and ConsumerismNext PostShow #42 Yoga Radio: Jan 7, 2015 – Happy New Year!